Anderson Valley–a long, wide valley that runs in a northwesterly direction towards the Pacific Ocean in Mendocino County–is possibly my favorite wine region in California. The redwood-lined ridges and gently undulating hills along the valley floor (if you can call it that) are among the reasons I love this place; the creeping, cold ocean mists and the valley’s profoundly calm atmosphere are other personal highlights. The beauty of the place feels honest and direct, characteristics that are also easy to spot in the valley’s residents and winemakers. So too in their wines. 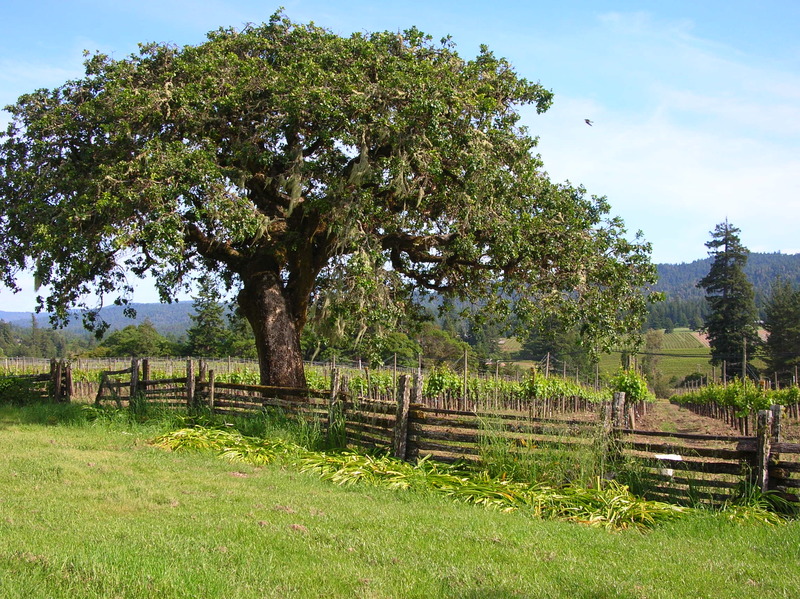 In fact, if I had to identify a connective thread among the wines of Anderson Valley it would be their refreshing honesty: at their best, Anderson Valley wines taste like they could only come from here. And in California–arguably the birthplace of the “international style”–I believe that to be something quite remarkable. The best way to taste that expression of place of course, is to visit the valley. But at approximately 125 miles north of San Francisco, it’s not exactly a day trip. Plan for two days at least, three if you want to check out the Mendocino coast. Longer if you start to jive with the relaxed pace. Two wineries here–Handley and Navarro–are perennial favorites of mine, and both make for fun, educational stops. Milla Handley and Kristen Barnhisel at Handley, and Jim Klein at Navarro, not only helped to define the Anderson Valley style, but they continue to craft wines made with this spectacular valley in mind. Along with the sparkling house Roederer Estate, Handley’s and Navarro’s efforts with cool-climate varieties like pinot noir, gewurztraminer, riesling and pinot gris have helped to put this region on the North American viticultural map. We made it to Anderson Valley this past weekend for the International Alsace Varieties Festival, which, as the name suggests is a celebration of all things Riesling, Gewürz & Co. I can be rather cynical when it comes to California white wines (more often than not, they’re just simply too much for me), but the quality of the wines on show at the festival (including some from Michigan) was very high. Alder over at Vinography has a short blurb about the festival. Many of the participating wineries are worth seeking out. Most mornings find the Anderson Valley shrouded in the cool Pacific fog. As the fog burns off–starting at the southeast end of the valley working northwest towards what locals call the Deep End–it becomes a fine mist, a gateway between worldly climates. You’ll need to keep sunglasses at hand even when driving with headlights on in the early morning. If you forget to turn off your lights once you’ve stopped, the people here are friendly enough to offer a jump. It’s sometimes said that where there are apples there can be riesling. So it was appropriate that the fairgrounds hosted the International Alsace Varieties Festival. Sadly there was no rodeo. Manageable crowds are always welcome at big wine tastings. Happily there was also a lack of Hawaiian shirts. Perhaps there’s something to winter time tastings after all? By a lovely coincidence there was a taco truck parked across the street from the fairgrounds. While the food at the festival was delicious–and Alsace themed–the smell of sizzling meats at a roadside taco truck is irresistible. Al pastor and carnitas: where it’s at, baby! The Mendocino coast runs north from the deep end of Anderson Valley. Aside from striking cliffs and coastal Redwoods, there’s an oceanic fierceness to remind you that the Pacific is the viticultural air conditioner of California. Simon is reading all of Proust this spring–and Navarro’s ’06 Gewürztraminer is quite helpful!